Hi Everyone! Thank you for all your kindness and support last Wednesday. You are all the sweetest. I just needed to take a chill pill and relax for a minute with my sweet fiance, and I feel much better. Also, as of today we are officially 10 months out from #teamwhywedding! When we first got engaged, everyone kept asking me about my wedding binder. Let me go on the record and say that I did not want to buy a pre-made anything from the store. They are awesome, and I actually copied parts of them, but I did not have an extra $30-50 laying around at the time. I wanted to buy the pretty things to ask my bridesmaids instead. I knew I could just make something like this myself, so I put my (sort of) crafty pants on and got to work. I used a 2 inch, three ring binder, some tab dividers that I had at home, and these free printables from gloriajoy.com. 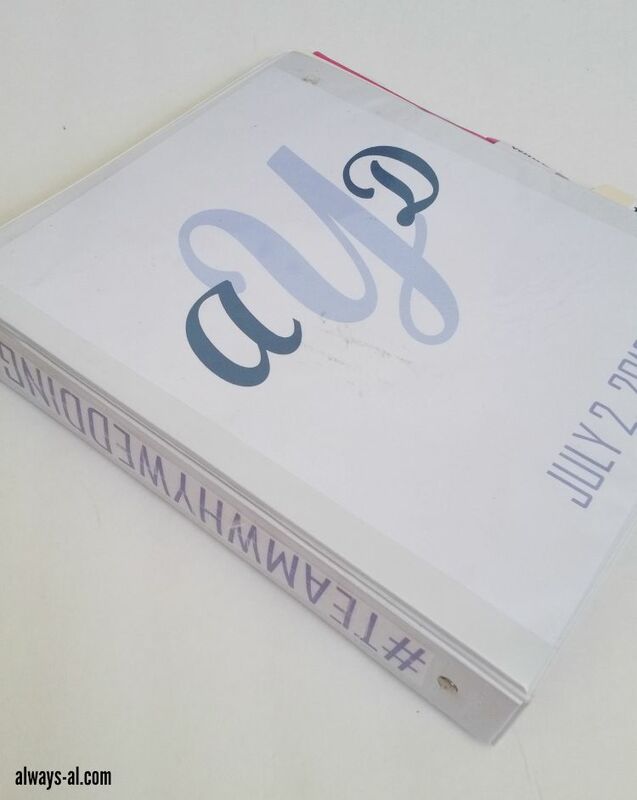 I created the monogram on the front on Microsoft Word, added our hashtag on the binding, and bam: my own customized wedding binder. It was so easy I couldn't believe it. 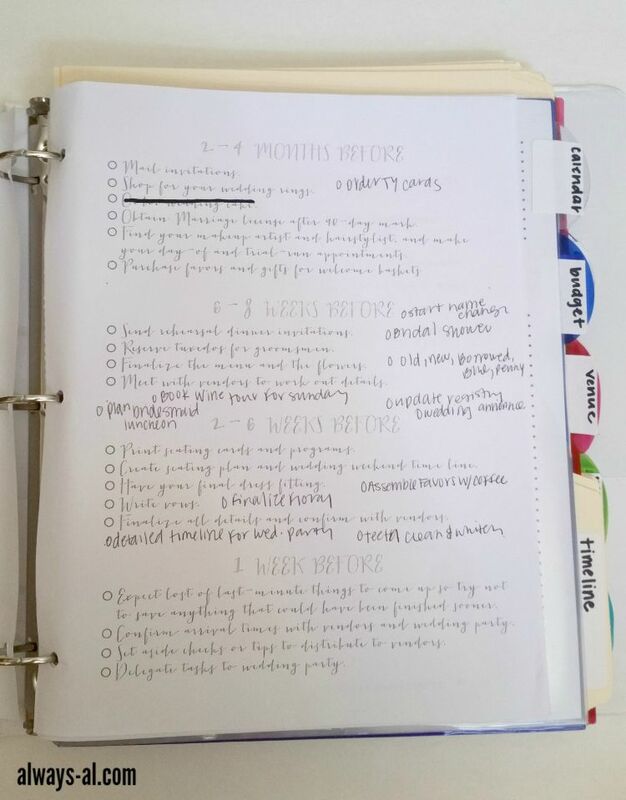 So far I have been using the to-do list (pictured above), catering, and budget tabs the most. as we work on getting our large vendors settled within our budget, and I cross things off of the timeline as we go. This has become the perfect place to store all of the documents and inspiration needed for the wedding in one place, and because I didn't spend any money on it, I don't feel bad about the wear and tear that the two year engagement is putting it through. 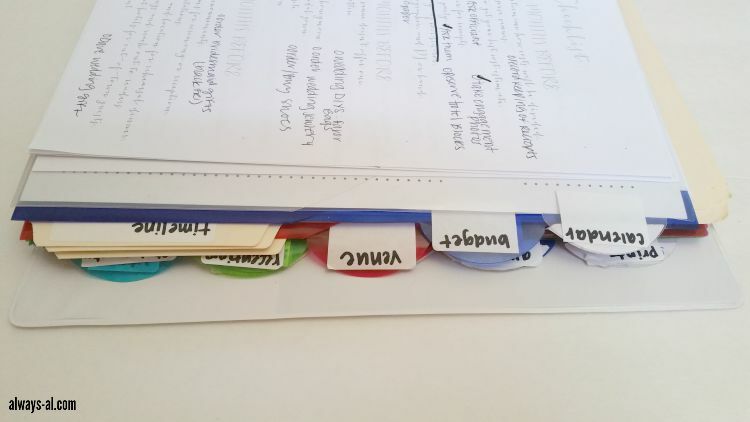 And the best thing about creating my own binder is that I'm able to print out, add, delete and adjust as we go. I don't want a whole section devoted to transportation anymore? I'll just take it out. Maybe I feel like I need a section about registry? I can easily add another tab and print out materials for that. You may notice that some tabs are actually file folders, because they are late additions. All in all, it was totally worth it for me to make my own wedding planning binder. I think if I had been gifted one, I would have definitely used it, but would still probably added and deleted to make it my own a little bit. 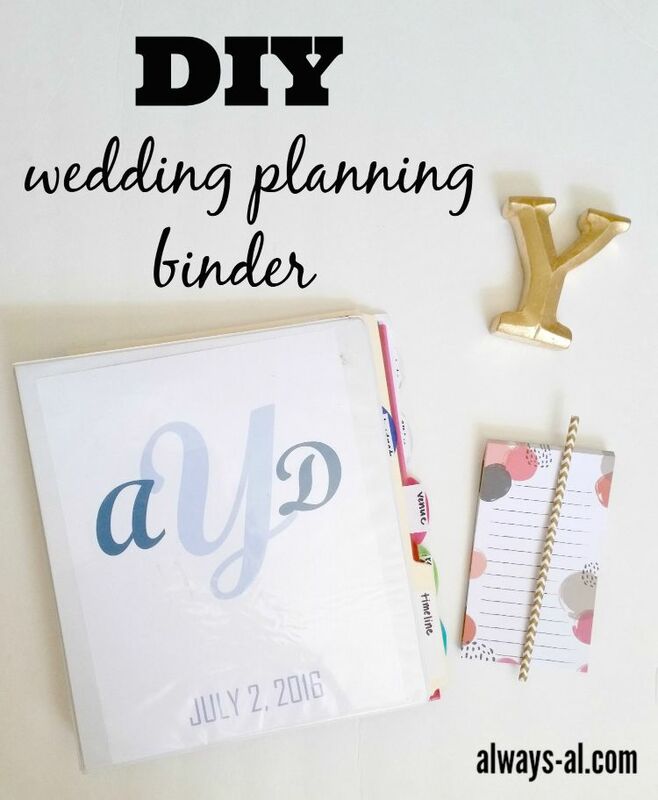 Not every wedding is the same, so not every wedding planning binder can fit everyone's needs. 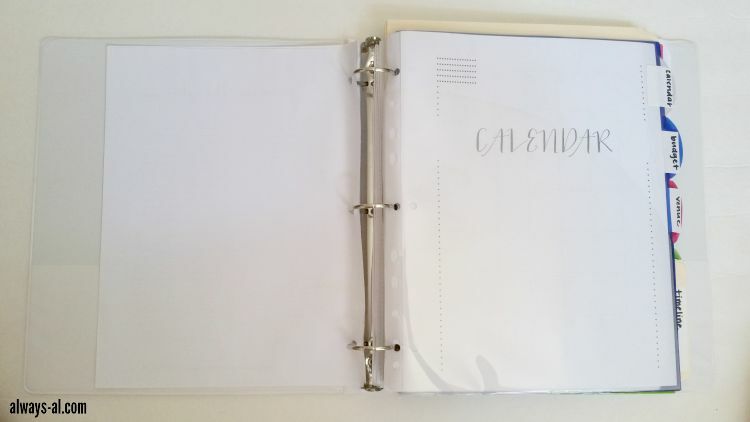 Would you consider making your own wedding planning binder? Have you ever created a binder like this?